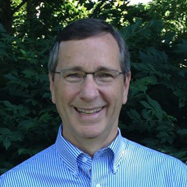 Ken Knaus is happily retired from 25+ years as a sales professional in healthcare. He spends much of his time working with fellow volunteers in the Society of St. Vincent de Paul, serving the physical and spiritual needs of those in poverty. Although born and raised in Chicago, Ken moved from Wisconsin 21 years ago with his wife and three children to Lincoln, where he currently resides.